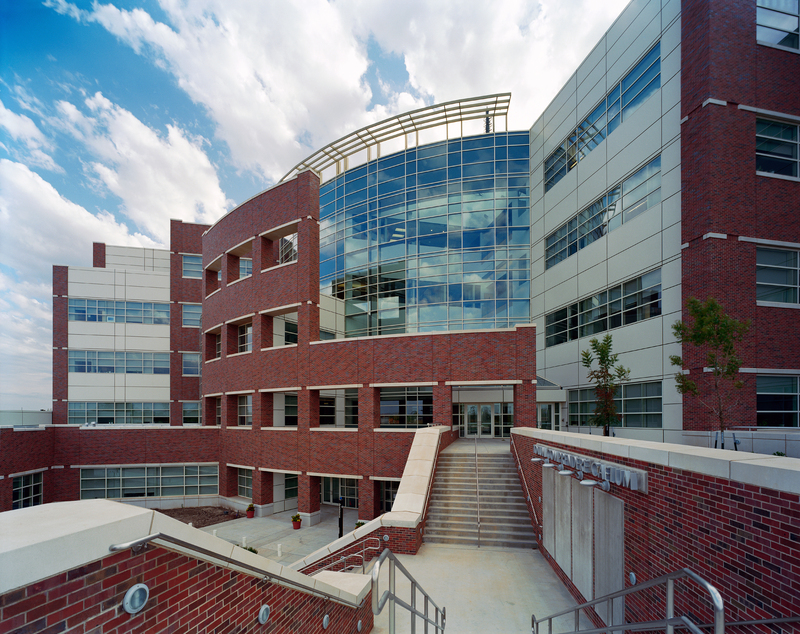 The National Weather Center is home to a unique partnership between the University of Oklahoma and the National Oceanic and Atmospheric Administration. This federal/state/university facility brings together the best of the nation’s weather research, forecasting and educational agencies, including the National Severe Storms Laboratory, the National Weather Service and the OU School of Meteorology. 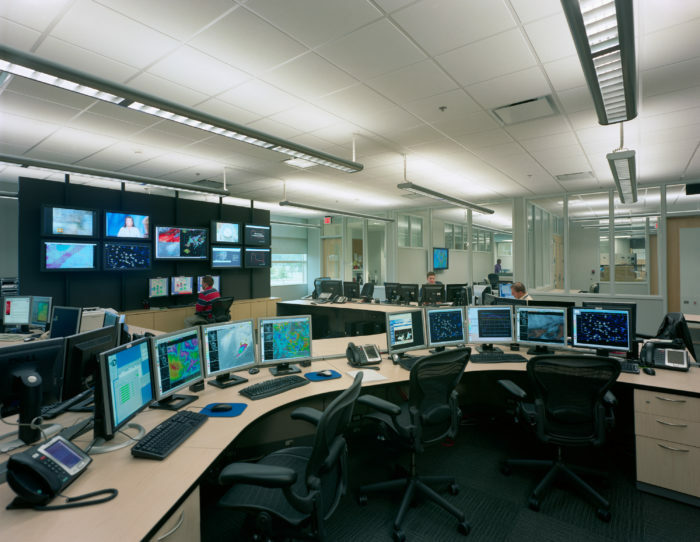 This partnership has created technology responsible for saving thousands of lives, has produced some of the world’s foremost authorities on radar development and application and continues to yield many research breakthroughs that are underpinning entirely new areas of radar capability. 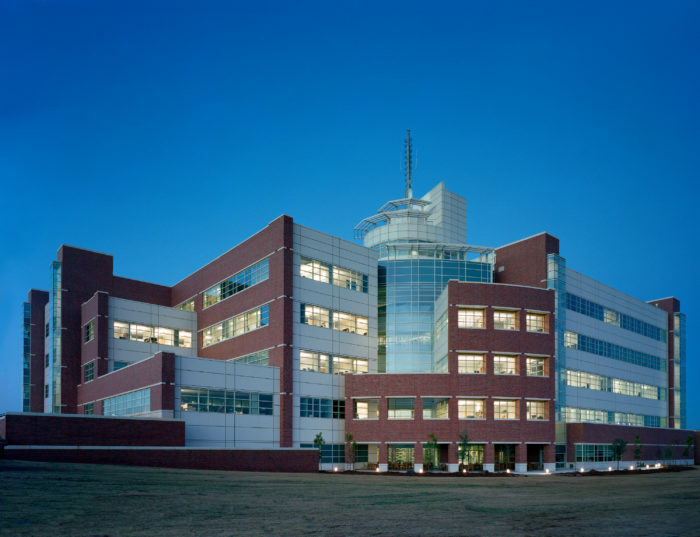 The National Weather Center also houses the Center for Radar Meteorology and Engineering, Radar Phenomenology Laboratory, National Radar Data Portal and National Mobile Observing Facility. 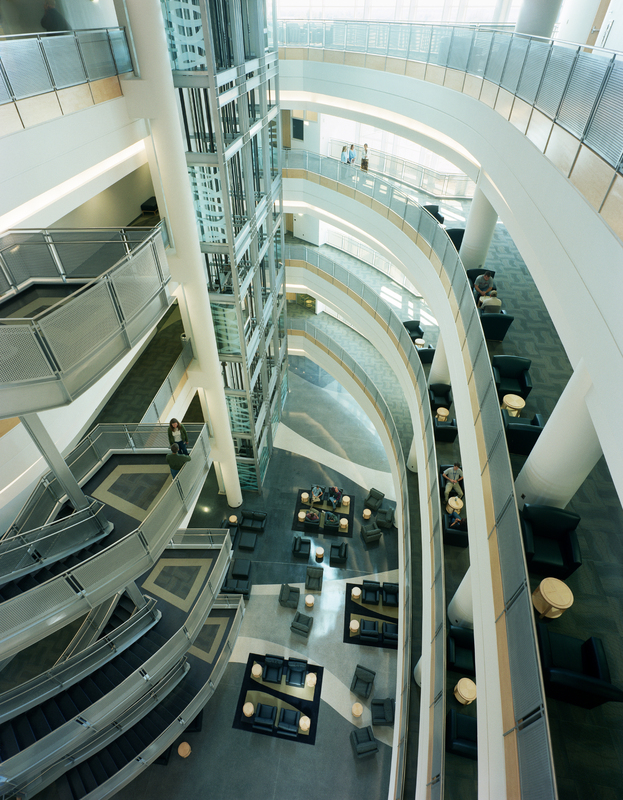 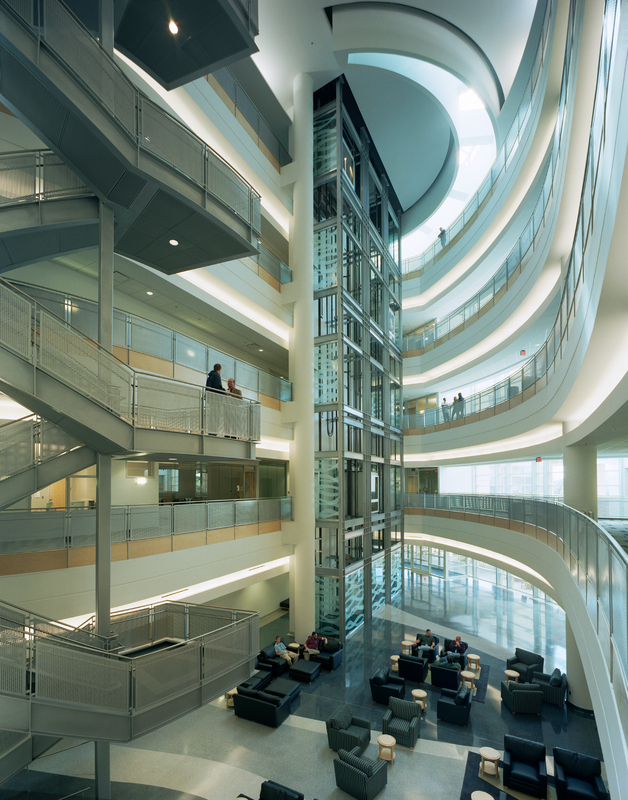 The interior of the NWC is a myriad of classrooms, laboratories, control rooms and computer centers. 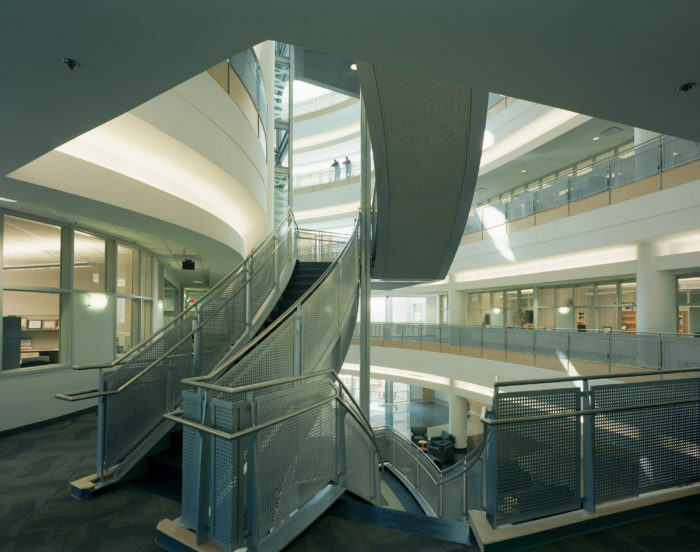 The structural system needed to minimize vibrations and provide support for miles of data and cabling systems, while maintaining a consistent depth to avoid conflicts. It also had to accommodate multiple balconies and setbacks, feature a large curving atrium topped with a large curling skylight, and frame two four-story curved exterior screen walls. 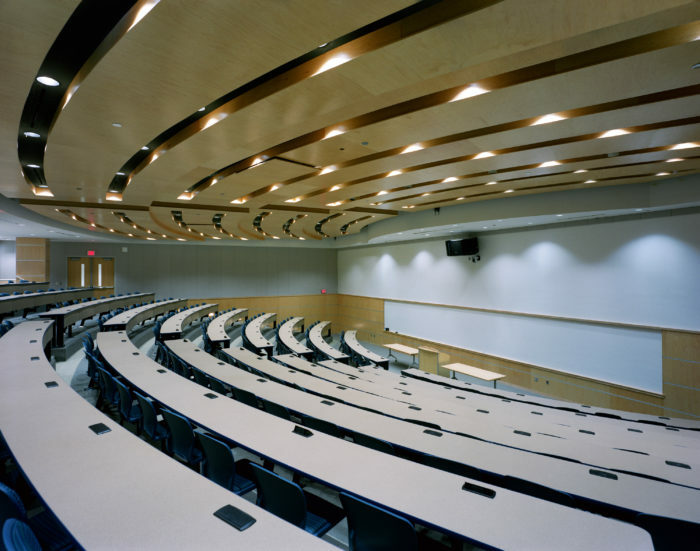 A cast-in-place post-tensioned concrete skip joist system was selected to meet this variety of needs, providing the economy of repetition in the majority of the floor plate while allowing elegantly curved floor edges at openings. 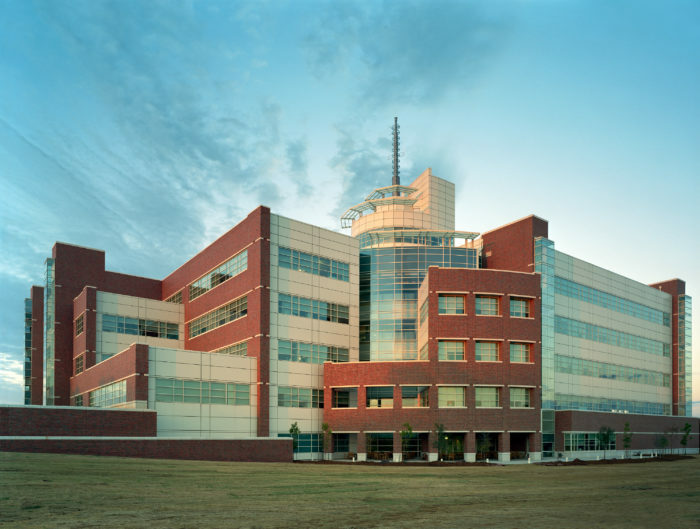 In addition, selected laboratories in the building were designed to resist wind loads of 150 mph and were hardened against wind-borne missile impact, resulting in areas that are adequate to resist an F2 tornado.